Achieve the ultimate results for more youthful looking eyes with this eye cream. 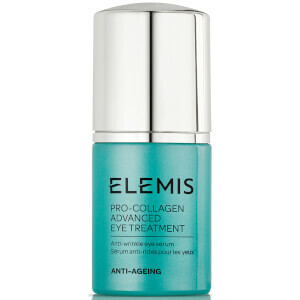 This anti-aging eye treatment has been clinically proven to give a significant restructuring effect. Visibly smoothes the appearance of lines and wrinkles. Provides maximum support to collagen fibers. Warm two pumps of the eye cream between fingers. With firm patting movements, work the product around the contour of both eyes. Use every morning and evening. I was using the product for one month, twice a day and can tell that it doesn't do anything that was claimed: it doesn't smooth appearance of fine lines; doesn't help to increase moisturisation of the skin; doesn't help to reduce puffiness or dark circles. Just nothing. I even can say that fine lines around my eyes became even visible during last month that i'm using this product. Very disappointed. Can not tell if it's making a difference! However, I will use up the bottle and see. I have been using the Elemis line for about four months, and I love it. The eye cream is very lightweight, has no fragrance and absorbs quickly. And it works!! 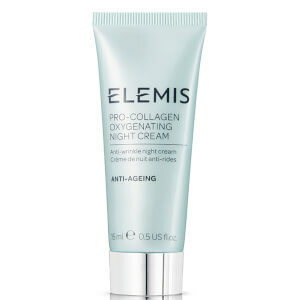 Some reviewers have mentioned the price being a bit steep, but I have to say the Elemis products I have been using go a very long way which makes them more affordable than they might seem if you just look at the price. Ladies you will love this stuff!! This product is amazing! It smells great, like all the ELEMIS products, goes on smooth without being sticky at all, offers deep hydration to the eye area and absorbs within about 5 mins leaving skin nourished without residue. Only drawback is its a bit more expensive than I'd like, but I'll have to make it last...guess I should stop using it twice a day! I first purchased this eye cream after a facial at the Mandala Spa at Disney's Grand Californian Hotel. The aestician reccomended it.This stuff works, I use it every day and have noticed that I look more awake. My husband even started using it, and has noticed his fine lines and dark circles are reduced. Also it seems to last forever.